Uber are on a mission to create ‘possibilities for riders, drivers, and cities’, and since their launch in San Francisco in March 2009 they’re now operating in 633 cities worldwide. Since their beginnings as the app to combat taxi woes, the tech company are now a leading force in the race for safely bringing autonomous vehicles to our roads. Their Advanced Technologies Group (ATG) are currently working on self driving technologies, mapping, and vehicle safety. Road safety has always been, and will always be, a concern in both the production of vehicles and for the general public as customers when purchasing their cars. Building the world’s safest, most reliable self-driving cars is exactly what Uber ATG are trying to do, and it’s an incredibly challenging task with constant areas for improvement. Earlier this year, Uber hired AI expert, Raquel Urtasun as they invest more time and resources in building their lab for driverless cars outside of the US, in Canada. Raquel, an associate professor at the University of Toronto, specialises in computer vision and is working to teach driverless cars to view and understand the world around them. Safety is a our number one priority at Uber ATG. Right now, we have well-trained safety drivers operating our fleet, and we constantly learn from their time on the road. In particular, the operator in the passenger seat documents important interactions with the vehicle that we, as engineers, use to improve our software on a daily basis. This iterative process allows us to identify areas where AI can improve the rider experience that ensures a safe ride for those inside the vehicle, and outside. We use deep learning to make the technology more reliable every single day. Raquel Urtasun is the Head of Uber ATG Toronto. She is also an Associate Professor in the Department of Computer Science at the University of Toronto, a Canada Research Chair in Machine Learning and Computer Vision and a co-founder of the Vector Institute for AI. To learn more from Raquel, register for the Deep Learning Summit, Montreal, October 10 & 11. 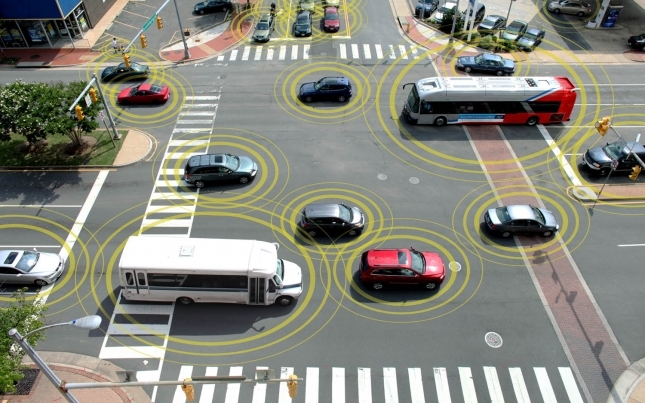 Interested in learning more about autonomous vehicles? Watch the panel discussion 'How can we apply ML and DL to accelerate the autonomous vehicle?' from the Machine Intelligence in Autonomous Vehicle Summit earlier this summer.